Herbal remedies have been around since Adam, but herbs can also be used to breathe life into your skincare routine. 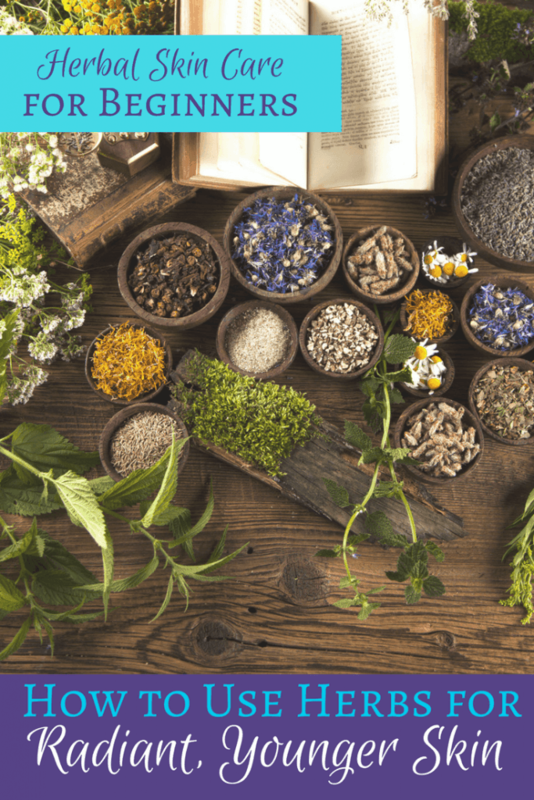 Herbs are beneficial for all skin types, but certain ones, and certain preparations can reduce the effects of aging for more youthful looking skin. 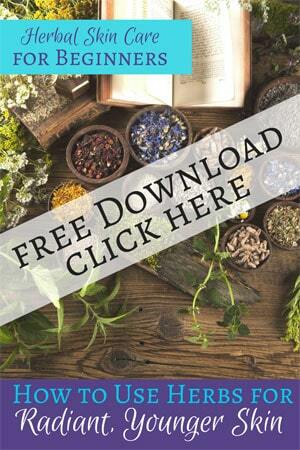 This information covers which herbs are best for aging skin, and how to use them. This is a detailed post. If you would like to save a copy to your computer or phone just follow the instructions below. This class of herbs help to soothe irritated skin. They’re useful for diaper rashes, eczema, psoriasis and similar issues. As skin ages, damage becomes more apparent and the skin can become red or inflamed due to a variety of factors. 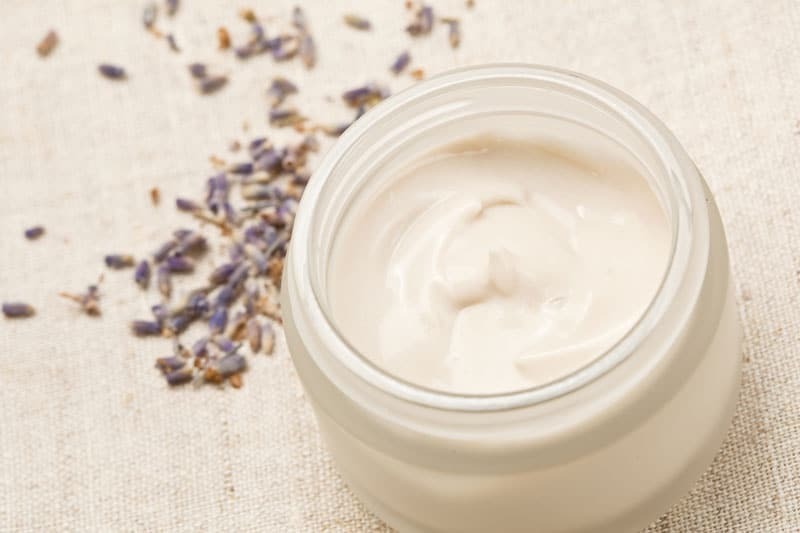 Chamomile, lavender and calendula are some of the top favorites for calming skin. Calendula is also a slight astringent which helps tone tissues and reduce fine lines and wrinkles. Herbs that have a conditioning effect are called emollients. They’re fabulous for soothing dry, irritated or inflamed skin. You’ve probably used aloe vera before after too much time in the sun, but this emollient is good for aging skin as well. Chickweed is also moisturizing and full of skin building nutrients. Marshmallow root infusion feels slick and is another great moisturizer for drier skin types. Certain herbs are called nutritive herbs because they’re so high in vitamins and minerals. They help to restore the body’s systems when ingested, but they also have a positive effect when they’re used topically. Vitamins A, C and E are particularly beneficial for aging skin. Vitamin A regulates the growth and division of cells, while Vitamin C produces collagen and protects against free radical damage. Vitamin E is another anti-oxidant that promotes youthful skin, speeds cellular regeneration and repairs free radical damage. The following herbs are some examples that are high in these vitamins. Knowing which herbs are helpful for aging skin is one thing, but you need to know how to use them. Herbs can be infused into several different mediums, mainly water, oil, vinegar and honey. 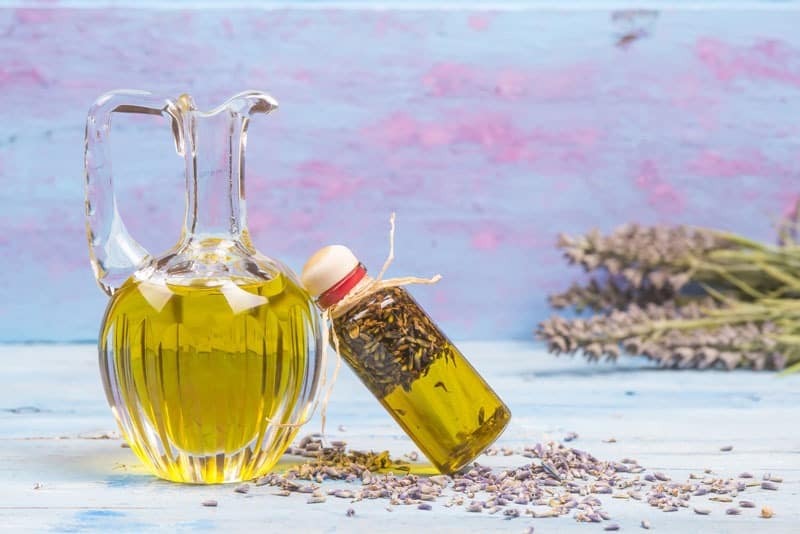 Certain herbal components are water soluble and are extracted best through a water or vinegar infusion, while other components are lipid soluble and work best in oil. Here are a few different ways to incorporate herbs into your skincare routine. Facial steams involve pouring boiling water over herbs, and then allowing the steam to wash over your face. The volatile compounds from the herb are released into the air, and enter the pores of your skin. Herbs that soothe, supply nutrients, or tone skin are all well suited to an herbal steam. This helps to cleanse pores, and get the herbal goodness deep into the skin. Water based infusions don’t last very long, since microbes of all kinds like to grow in this kind of environment. A more shelf stable preparation is to infuse the herbs in oil. There are plenty of different oils you can use, but some of the most popular for anti-aging and mature skin are coconut, sweet almond, olive and avocado oils. You can infuse a carrier oil with herbs on the stove, in the oven, or with a traditional solar infusion. To make an herb infused oil, start with dried herbs. Fresh herbs contain moisture that can cause the end product to spoil or mold much faster. Fill a glass jar 1/3 to ½ full of the desired herbs, then cover with the carrier oil. Cap the jar tightly and place it in the sunlight to infuse for 2-4 weeks. Shake the mixture every day or so to help the infusion along. Once the oils has infused, strain the herbs out using a clean muslin cloth, or folded cheesecloth and discard them. Store the infused oil in a cool dark location. You can use an herb infused oil to make a balm, salve, soap, facial serum, or any other recipe that calls for a carrier oil. Just simply replace the carrier oil in the recipe with an equal amount of your infused oil. Since lotions are made with both water and oil, an herb infused oil can be used in place of the carrier oil. Be sure that the carrier used to infuse the herb in is the same as what’s in the recipe. For example, if the lotion calls for coconut oil, then olive oil won’t work. The water, or non-oil portion of a lotion recipe cannot be infused with herbs, since this herbal tea will start to spoil within just a few days. Hydrosols, also called floral or herb waters, are what remain after an essential oil is distilled. They contain small amounts of essential oil mixed in, but at a much lower level. Hydrosols can be used liberally in skincare, and can also be used to replace the water portion of a lotion or cream, since they’re more shelf stable than an herbal tea. Hydrosols have a shelf life of 6-12 months, depending on the preservative used. 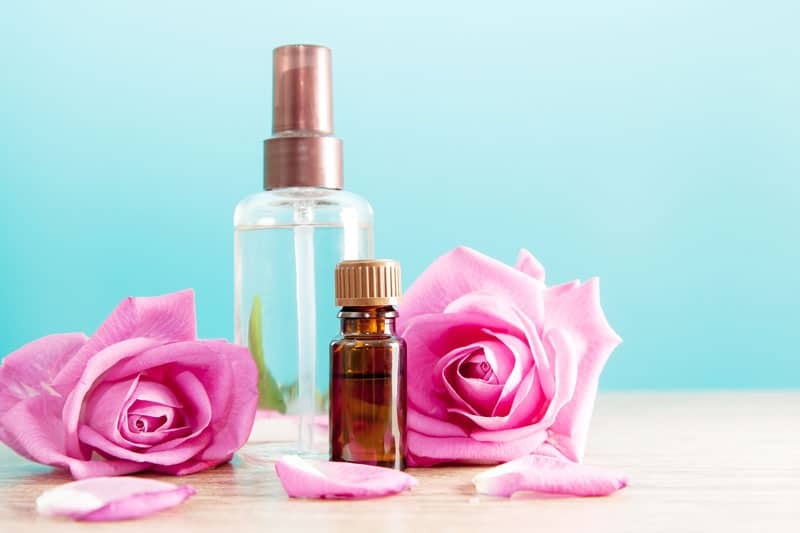 While essential oils contain the lighter, more volatile compounds of a plant, hydrosols contain the heavier constituents along with small amounts of essential oil. A good hydrosol is very fragrant and can be used in lotions, or on its own like a toner. Hydrosols have the same basic properties as herbs, so any herb that’s good for the skin, it’s hydrosol will generally have the same effect. Below are a few examples. Witch hazel hydrosol – Unlike witch hazel extract, the hydrosol doesn’t contain alcohol. It tones varicose veins and minimizes the appearance of pores on the face. Rose hydrosol – Very good for aging skin, soothes irritated skin and reduces inflammation. It’s also an astringent to tone the skin. 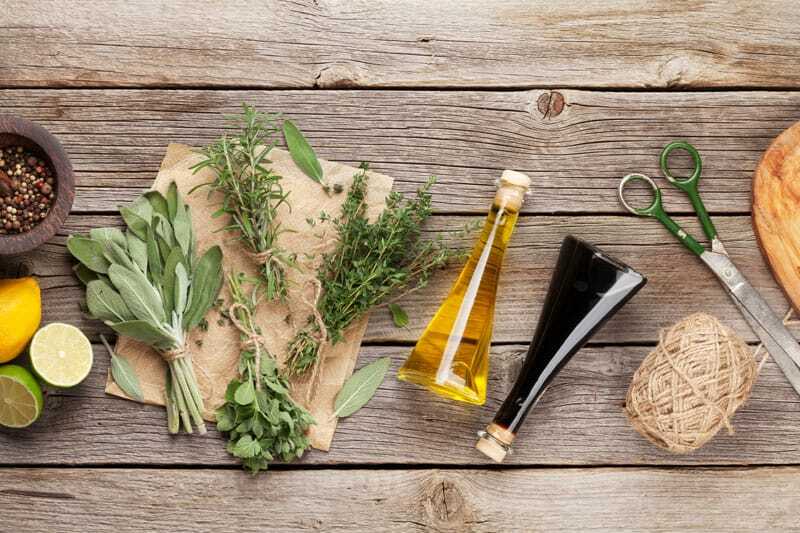 Herbal vinegars can be used for everything from a hair rinse to salad dressing, depending on which herbs are used. For skincare, herbs can be infused into vinegar and applied to the face after cleansing. These can be used as a toner, or just to give more nutrition to the skin. Fill a glass jar 1/3 full of the desired herbs, then cover the herbs with vinegar to 1/2 inch from the top. Cap the jar tightly and store it in a cool, dark location for 2-4 weeks. Shake the mixture every day or so to help the infusion along. Once the vinegar smells strongly of the herb, strain the herbs out and discard. Store the herbal vinegar in a glass container in a cool, dark location. Herbs can be infused into different carriers for skincare recipes, but they can also be simply mixed into products. They can be mixed into a scrub for added exfoliation and to benefit the skin. Dried, chopped or powdered herbs can also be added to soap recipes. Be sure to use a recipe that specifically uses herbs though, as certain herb can discolor the soap. Herbs can also be added to the bath or a foot soak. Herbs like mint are refreshing and invigorating to tired feet, while herbs like lavender calm and soothe the body and mind.